TechRadar has teamed up with six premium software vendors to give one lucky reader a huge software package with a combined retail price of over $700/£570. Ashampoo Backup Pro 12 – protect all your most important files with simple, scheduled backups and easy recovery. Ashampoo Burning Studio 20 – everything you need to burn CDs, DVDs and Blu-rays, with smart backup plans, and an intuitive editor for covers and inlays. Ashampoo Music Studio 7 – a powerful app for organizing, editing, ripping and burning music. Ashampoo Photo Commander 16 – one-click photo optimization, tagging, editing, custom collages, slideshows, photo cards and panoramas. Ashampoo Snap 10 – a premium screen recorder to capture all the action from your desktop as videos or still grabs in resolutions up to 4K. Ashampoo Uninstaller 8 – remove every trace of unwanted software, including the files and registry entries other uninstallers leave behind. Ashampoo Video Optimizer Pro – crop videos, clip, remove shake, sharpen and apply special effects, then upload them directly to YouTube. Ashampoo WinOptimizer 16 – one-click optimization that resolves common problems and removes junk files that accumulate with normal Windows use. SoftMaker Office Standard 2018 for Windows – a complete office suite, including premium word processing, spreadsheet and presentation apps. 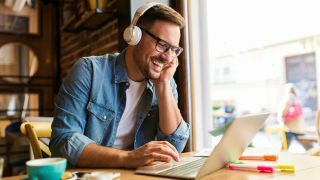 Audials One 2019 – record music from thousands of online radio stations, consolidate your streaming services, and watch live TV from around the world. Incomedia Website X5 Evolution 17 – a drag-and-drop website builder for creating your first site, complete with a year’s free hosting and domain registration. Abelssoft CleverPrint – a suite of smart tools designed to save you ink and paper by optimizing print jobs. Steganos Privacy Suite – a digital safe to protect your sensitive files, and a comprehensive password manager to keep all your online accounts secure. To enter, just fill in the form below and answer the simple question. The competition ends January 10, 2019. Best of luck! Software provided by Steganos, Abelssoft, Incomedia, Audials, SoftMaker and Ashampoo.